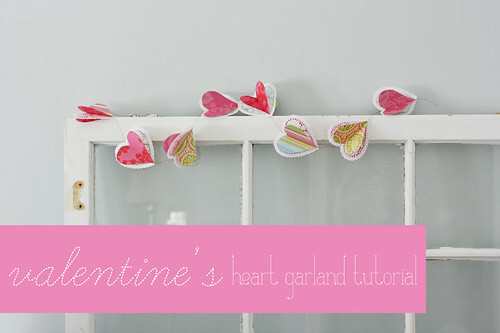 because you requested it, here is the tutorial for the heart garland i mentioned earlier this week. you will need heart shaped (or small round!) 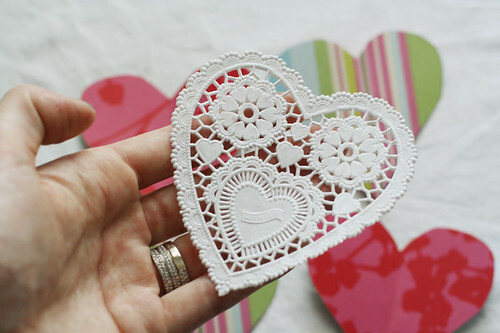 doilies, double-sided craft paper, and a sewing machine. 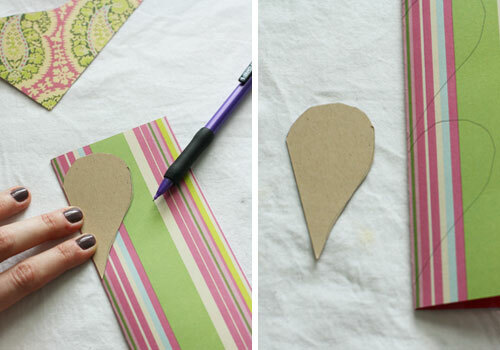 first, trim your paper to size (i cut mine to 6x12" and folded in half, fitting four hearts vertically), fold in half and trace half-hearts along the fold. 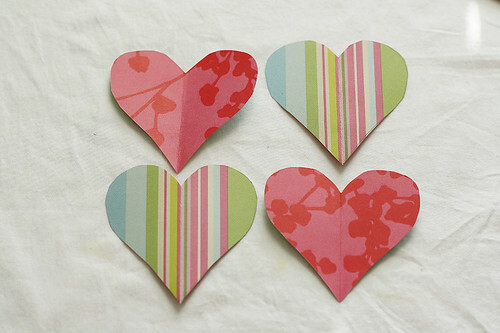 cut out your hearts and unfold. 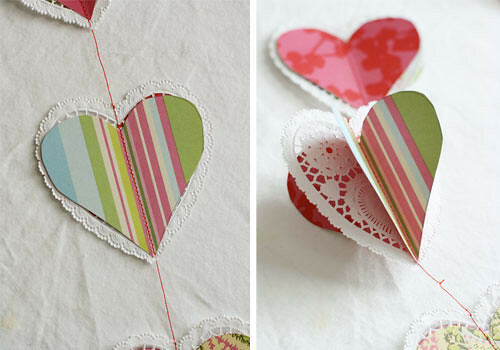 sandwich your doilie between two hearts, making sure matching sides of the paper are facing out. now, stitch down the center of the heart. i would recommend pulling a bit of thread out before you start so that you have some extra to hang your finished garland. you can decide how close or far apart you'd like your hearts to be... let the machine stitch as long as you like in between hearts. continue to feed heart-doilie sandwiches through until you're finished. 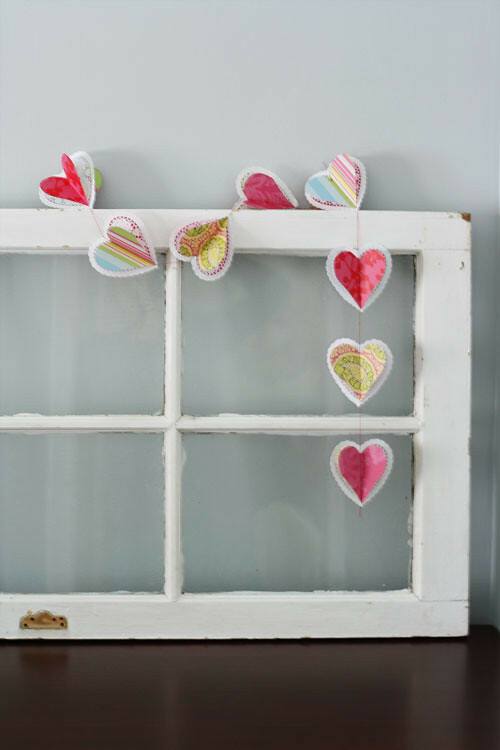 now you'll have flat heart/doilies strung together. 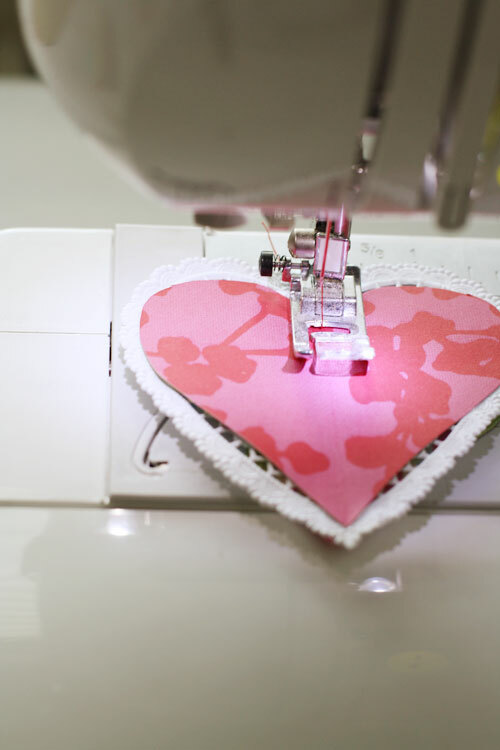 the last step is to fold up each of the hearts along the seam. this makes for a more three-dimensional look. and there you have it! 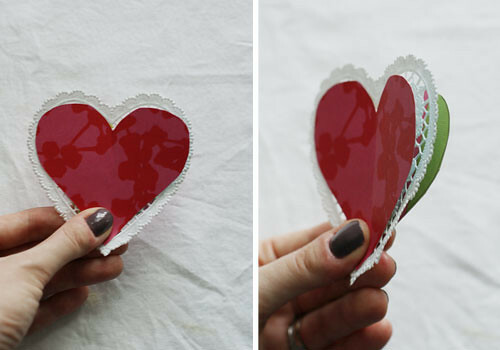 an easy, festive garland to celebrate with your valentine! please leave any questions in the comments & i will answer there!